Cushion Halo Engagement Ring with Pave-Setting | Shane Co. 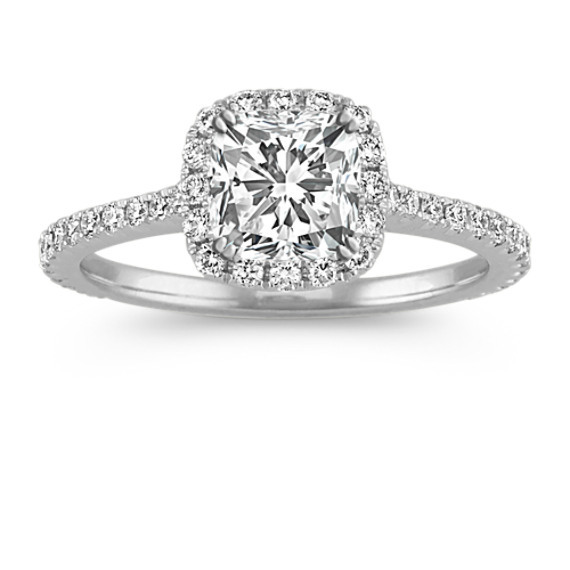 Sweep her off her feet with this gorgeous halo engagement ring. With 58 round pave-set diamonds, at approximately .42 karat total weight, this ring awaits your choice of a 1.25 carat center cushion cut diamond. The 1.5mm ring is crafted from quality 14 karat white gold.